NASHVILLE, TN — The budget ask is $45 million higher than last year. It includes $2.5 million for new textbooks, $5.2 million more for special education and $2 million more for English language learners. It raises teachers’ salaries by 2.5 percent and gives paraprofessionals a two-grade bump that will increase their pay by $2-$3/hr. All good news but things are not all milk and honey at Metro Schools. No more free lunch for everyone because only 47 percent of schools qualify for federal food support. Four years ago that figure was 61 percent. The state has agreed to let 120 schools continue with free breakfast and lunch. Twenty-eight schools will have free breakfast and their students can get free or reduced lunch if they qualify. Director of Schools Joseph is cutting a $6 million reading intervention program called Reading Recovery. Specialists have been tutoring the weakest readers in 35 schools and in 20 weeks those first graders are reading with their peers. But Joseph said studies show those initial results are not sustained. He wants to bring those reading teachers into regular classrooms and offered them a $2500 stipend to make the switch. Since fewer students will be enrolled in the district’s 169 schools next year, the district will lose $7.5 million in state funds. School Board Chair Ann Shepherd didn’t hear about it until last month but said the District knew enrollment was down last Fall and didn’t tell the Board. Some federal grants that have powered the wheels of change in Metro’s schools are running out. There will be fewer federal Title 1 dollars going to high poverty schools next year and Director of Schools Shawn Joseph is directing more of the available funds to the district’s 87 neediest schools. At a public hearing last week, several principals from those schools told the School Board about the progress they have made to raise test scores, reduce absenteeism and avoid disciplinary problems. Some explicitly thanked Joseph for keeping the money flowing in their direction. “It’s a matter of life and death,” said Watechia Lawless, Principal at Napier Elementary, a once low-performing school that has turned things around. “Our students are showing growth. Sixty percent are reading at or above grade level. Two years ago that number was 20 percent,” she said. Lawless then rattled off some impressive numbers: math scores are up, suspensions are down, and 60 students and their families got social services they needed. Lawless credited Joseph for focusing the district on improving literacy in Metro schools. Fostering change has ruffled some feathers on Bransford Ave. Joseph demoted some longtime school administrators, others have left, and he brought in his own team at high salaries and that has raised eyebrows, even criticism. He has a driver and a car provided by the District. Joseph said he attended more than 350 events last year. He told NewsChannel5’s Ben Hall last week that he hasn’t sat in his office for a solid hour since he came to Nashville almost two years ago. “My phone is constantly ringing, texts, phone calls, emails are coming in. My schedule gets so triple-packed there is not a lot of down time for me because I’m constantly in the community,” Joseph said. He does a lot of work while on the road. 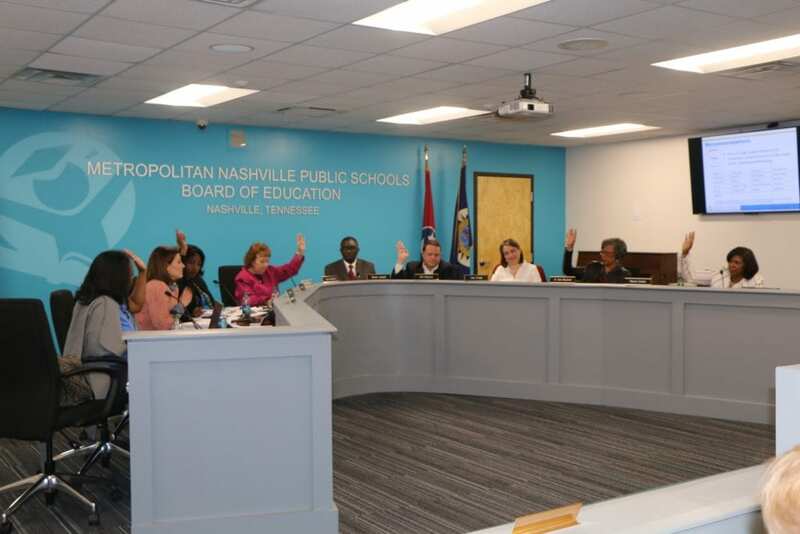 The School Board unanimously hired Joseph to raise test scores at Metro schools, the poorest performing school district in Middle Tennessee. This is test week and Joseph’s disruptive innovations will be put to the test. A lot is riding on the outcome. On Monday Freshmen at Hume-Fogg Academic High School could not take end of course exams because of problems with the State Department of Education website. Last month, two School Board members, Vice-Chair Jill Speering and District 9 Member Amy Frogge, called for an audit of school spending. They say Joseph is cutting corners and hiring consultants and signing contracts without the board’s approval. Joseph publicly welcomed the audit, denied he has spent unauthorized funds on pet projects, and stoutly defended himself at a School Board meeting last week. And at Monday’s meeting he brushed aside complaints from Frogge and Speering. At last week’s meeting, Speering read a long list of items and then called for a special policy meeting to review district operations and to determine if district policies have been violated. During a break at that meeting before a public hearing, NewsChannel5 recorded Frogge bickering with Joseph. He told her she was making accusations that were liable. She said it was her job to ask questions and didn’t like being told what to say. “I am really disappointed — and I do not have any trust now,” Frogge told him. Then she pulled down the microphone that was picking up their conversation. “I would never be disrespectful or inappropriate,” Joseph said. “And one thing I never do: I don’t do anything illegal with money,” he added. Joseph’s relations with the Board remain civil despite concerns by some over his management style. Gone are the days when former Director of Schools Jesse Register fawned over School Board Members who responded with deference and granted him great leeway about how he ran the district. According to the Tennessean, during Register’s 6½ year tenure, graduation rates and test scores stayed below state averages. Vice-Chair Jill Speering and District 9’s Amy Frogge are vocal critics of the administration now and were the only two members to vote against the budget proposal. Joseph has closed some schools, added specialized programs at others, and has decentralized spending by giving school principals a budget they can spend as they see fit. At five public budget meetings in recent weeks, the School Board heard from dozens of principals, teachers, parents, union reps, and reading specialists. “The school-based budget process has allowed us to think outside the box,” said Ricki Gibbs, Principal of Glengarry Elementary. 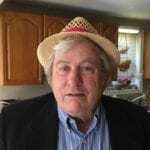 Gibbs hired a retired principal at a reduced rate to support his teachers. “Glengarry serves about 413 students so typically we wouldn’t get an assistant principal at a school of that size,” he said. Joseph wants to add 15 counselors and beef up Social Emotional Learning in the schools by hiring 11 specialists to train 2,500 teachers in those techniques. Twenty-one SEL specialists are already deployed in training and giving SEL support in district classrooms.